What kind of wax scraper do I need to use? 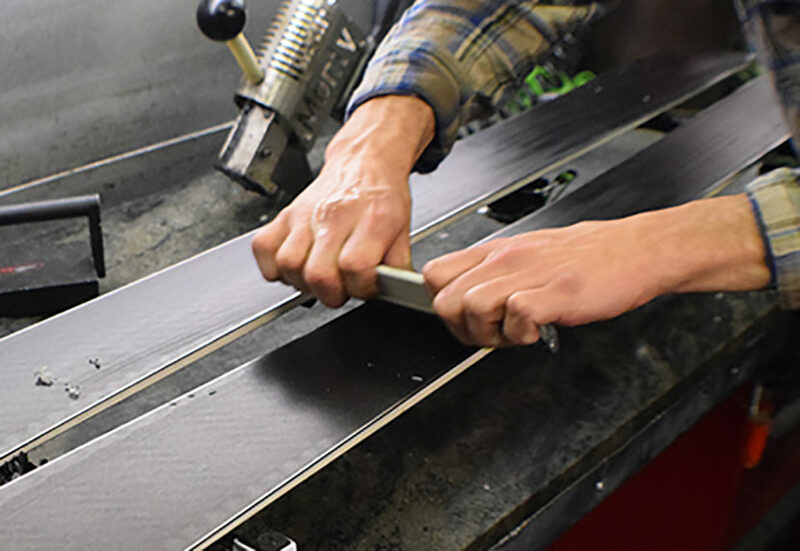 There are basically two kinds of scrapers used in tuning skis and snowboards. First, there is the metal scraper and it is about twice as thick as a credit card and about 4″ x 6″. This scraper is used to remove P-Tex base material after a repair. Do not use this scraper to remove wax from your skis or snowboards you may accidentally gouge or damage the base. Second, there is the plastic or plexiglass scraper it is about 1/4″ thick and about 4″ x 6″ for use on skis. For snowboards it is a little longer. This scraper is the one you want because it will easily remove the excess wax from your bases without damaging the P-tex. This scraper will have a little notch on one corner for cleaning off the side of your metal edges where excess wax likes to drip and harden during waxing. The edge of both scrapers can be sharpened with a simple file from the hardware store. Simply place the file flat on the table and hold the edge of the scraper at a 90 degree angle to the file and run length wise a few times. Wax will tend to build up on the plastic scraper sides but it can be easily scraped off with another plastic scraper or a scrap piece wood. One easy trick to clean it off is to use your waxing iron every couple of tunes to melt it away. Will my ski or snowboard wax go bad? What kind of brush do I need when waxing my skis or snowboard?